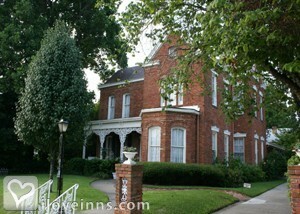 Vicksburg bed and breakfast travel guide for romantic, historic and adventure b&b's. Browse through the iLoveInns.com database of Vicksburg, Mississippi bed and breakfasts and country inns to find detailed listings that include room rates, special deals and area activities. You can click on the 'check rates and availability' button to contact the innkeeper. Vicksburg is a city in Warren County, Mississippi. Called as the Red Carpet City of the South, Vicksburg stretches at the banks of the great Mississippi River, offering visitors and travelers with locations providing a magnificent view of the country's longest river. The city has many interesting spots that would certainly amaze visitors. The 1800 acre Vicksburg National Military Park, site of a prominent Civil War battle, is just one of them. The Anchuca Mansion bears the distinction of the city's most historically relevant antebellum building. It is less than a mile away from the city center. Other favorite sites of those who love history are the Old Courthouse, the U.S.S. Cairo Museum, and Vicksburg National Cemetery. Evenings at the city are fun with destinations like Amistar Casino and Rainbow Casino. Guest would surely enjoy the games here before they head back to their Vicksburg bed and breakfast accommodations nearby. By Annabelle.